Simon Armitage’s translation of Sir Gawain and the Green Knight was a delight to read and well-received by many readers (it remains one of the top read reviews on BookBanter), and now Armitage is back with his new translation of The Death of King Arthur, appearing in 1400, also known as The Alliterative Morte Arthure; it is imbued with the passion and panache of Seamus Heaney’s translation of Beowulf. The story opens at a Christmas day feast where King Arthur is entertaining his round table of knights and the people of his court. It is rudely interrupted by an emissary of the emperor Lucius Iberius, who is demanding Arthur pay taxes and tributes owed to the emperor. Thus begins Arthur’s journey across Europe, as the reader learns of the extent of the king’s lands, as well as his power and ability as a leader and knight in these descriptive and alliterative scenes of conquest. The Knights of the Round Table will eventually reach their destination, where Arthur will confront the emperor, but also meet his inevitable end. Armitage does a fantastic job of creating a translation of this tale that is both entertaining and addictive to read, but still maintains its alliterative originality. Published in a bilingual edition, readers can enjoy glancing over at the original Middle English text and see the original lines and stanzas, and also see how Armitage has masterfully crafted this text to be alliterative as well as encompass the modern English language. 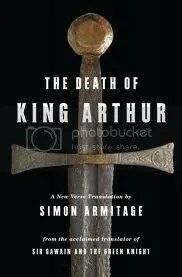 Both King Arthur fans and fans of Armitage’s work will not be disappointed. To purchase a copy of The Death of King Arthur from Amazon, and help support BookBanter, click HERE. Released in hardcover in January of 2011, Robert M. Durling and Ronald L. Martinez present their translation and editing of the final volume in the epic trilogy of Dante Alighieri’s The Divine Comedy, with Paradiso. After the success of the first two volumes – Inferno and Purgatorio – with readers and scholars alike, fans will now be able to complete their collection. After reuniting with his love, Beatrice, Dante now travels with her through the heavenly spheres, experiencing “the state of blessed souls after death.” With paradise depicted as a series of concentric heavenly spheres surrounding the earth, they consist of the planetary bodies: the Moon, Mercury, Venus, the Sun, Mars, Jupiter, and Saturn, then on to the Fixed Stars, the Primum Mobile, and finally the Empyrean. Allegorically, this volume represents the soul’s ascent to God. Like in the previous volumes, each of the heavenly spheres bears a title and important messages, in this case associated with the angelic hierarchy. Dante continues with what he’s done previously, providing historical setting and characters based on real people, along with an important lesson to be learned with each sphere reached. In the introduction, Durling discusses when the text was likely written, exploring the setting for it, as well as investigating a number of interpretive issues surrounding Paradiso, the possible meaning behind the allegories, and what this volume represented in Dante’s complete body of work. Again done in this preferred and beneficial bilingual edition, readers can enjoy the full translation, as well as the original fourteenth-century Italian, as it is revealed what a talented writer Dante truly was, making it clear why The Divine Comedy is revered as such an important piece of work with that of Shakespeare and Chaucer. Notes at the end of each canto provide commentary and details that help the reader follow the text with full understanding and comprehension. At the end is included Boethius’s famous cosmological poem that ends the third book of his Consolation of Philosophy, which bore a strong influence on Dante and his work, along with a translation and commentary. The additional notes include discussions of myths, symbols, and themes that all play a part in the three volumes. 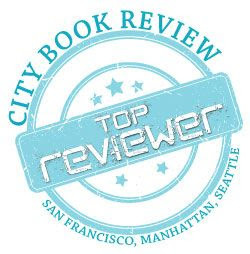 This comprehensive index includes Proper Names Discussed in the Notes, Passages Cited in the Notes, Words Discussed in the Notes, and an Index of Proper Names used in the text and translation. Robert Turner’s illustrations, as with the previous volumes, again help to illustrate the text in a poignant and unique way, especially with his depiction of the heavenly spheres. This concluding volume of The Divine Comedy completes one of the most important translations of the current era, with its crucial accuracy, extensive and comprehensive notations and explorations, as well as its thorough effort in being the most important translation of Dante’s opus, making it available and so readable to any person who is interested in the work. The covers alone will capture anyone’s eye, and as they begin to read the incredibly beautiful, powerful, descriptive words of Dante, they will be swept away to this unique world, just as Tolkien did with his Lord of the Rings. In the second volume of Dante’s Divine Comedy, Purgatorio, Dante continues his journey from hell into purgatory, continuing to be guided by the skilled hand and mind of Virgil. Dante must climb up the Mount of Purgatory, beginning at the bottom with Ante-Purgatory, then the seven terraces – seven levels of suffering and spiritual growth – as associated with the seven deadly sins; at the very top is Earthly paradise. Just as in the first volume, Inferno, Dante continues to discuss politics and the Church in general, as well as relating to his own experiences during the writing of the Divine Comedy in the fourteenth century. Familiar characters in Dante’s life again play a part, as he makes his intentions of them all too clear. It is in this volume that Dante is reunited with his long-lost love, Beatrice. In this shorter introduction, Robert M. Durling and Ronald L. Martinez go into some detail on when this second volume was likely begun, how and when it was exactly written and how Dante was influenced by events and happenings in his life in the writing of it. Just as with the first volume, detailed notes are provided at the end of each canto, explaining locations, historical references, and short biographies on the people mentioned and what relevance they had to Dante. With these priceless details, any reader can pick up this translation of the Divine Comedy, and not feel lost or overloaded by all the historical setting, peoples and details, but are skillfully guided along Dante’s unique journey. At the end of the text are further detailed notes and fifteen short essays covering Dante’s political views, his respect and use of Virgil and Ovid, his original conceptions of homosexuality, and on moral growth, to name a few. Durling and Martinez also explore similarities and possible linkages with the three volumes in analyzing similar cantos, their possible relations to each other, as well as the numbering system used in each volume. At the end is a bibliography and extensive index, allowing the reader to travel about the text freely and with little hindrance. With this second volume, Durling continues what he began with Inferno, keeping the reader hooked with this accurate translation, along with the original Italian on the left-hand page, as Dante’s true skill as a storyteller and descriptive writer are brought to light as never before. The Divine Comedy is seen as one of the seminal works in the history of the written word, up there with Chaucer’s Canterbury Tales and the works of William Shakespeare. Not just an interesting story, the work is also filled with many characters based on actual people, as well as events and references to actual happenings. Originally written in the fourteenth century by Durante degli Alighieri, a nobleman who was very opinionated and involved in Italian politics of the time; in his Divine Comedy, he deals with politics, religion, and much more, but was not above letting readers know how he felt about certain people. The key then to reading, understanding and enjoying this work is really in the translation and editing. In the lengthy introduction, Robert M. Durling – professor emeritus from the University of California at Santa Cruz – along with Ronald L. Martinez do a great job of introducing the reader to this historical and important work, dividing it up with the biography of Dante, when he likely wrote The Divine Comedy, what Durling hoped to achieve with this translation, as well as what Dante sought to achieve as a writer and a poet in medieval Italy. The epic poem, spanning three volumes, helped create and cement the Tuscan dialect, written in terza rima, which is hendecasyllabic or lines of eleven syllables, divided into cantos. Inferno is the most popular of the three volumes, mainly because of its content featuring graphic descriptions of the nine circles of hell, as Dante paints vivid pictures with words of what those suffering in these respective levels are experiencing. The story is of Dante himself traveling through hell, guided by Virgil. Along the way he meets many people he recognizes, whether they be renowned people throughout history, or local Italians or people of Europe that Dante himself has known in his lifetime. This translation does a great job of keeping things easy and user-friendly for the reader. It is a bilingual edition, featuring the original medieval Italian on the left-hand side, and Durling’s English translation on the right. Those who have some grasp of the Romance Languages will often be able to glance over the Italian and pick out certain words and phrasings, comprehending Dante’s original words and descriptions. There’s also a detailed picture of all nine circles by Robert Turner, as well as further illustrations throughout the text. It is filled with endnotes for each canto, further expanded notes and an index; so whether you’re well versed in Italian medieval literature, or someone wanting to read this renowned work for the first time, Durling’s translation of The Divine Comedy, Volume 1: Inferno is an excellent starting point that will quickly draw you into the unforgettable world that Dante created over six hundred years ago. If you like fairytales and have always wanted to know where they originate, here’s your chance. For the first time, a complete edition of the fairytales of the Brothers Grimm has been published in paperback form at an affordable price. A handy reference tool, pleasant reading, and a book you can always turn to to read to your kids, all in one! With an introduction on the Brothers Grimm and this specific translation, the book then launches into the countless fairytales told in their virgin form (warning, this may not only shock minors to hear the truth, but also the grownups). There is a lot more blood and gore in the original tales that have not been Disneyfied for kids. Split into sections of regular tales, “Omitted Tales,” and “Selected Tales from the Annotations of 1856”; this is a true gem to have on one’s shelf. 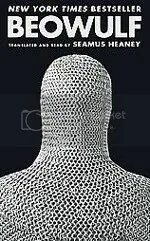 The book features a chivalric cover along with beautiful black and white illustrations throughout the book. It is a present perfect for any avid fairytale lover. Originally published on March 17th, 2003 ©Alex C. Telander. Readers are living in a great age. Classical history through primary sources has never been so accessible, with the success of Robert Fagles’ translations of The Odyssey, The Iliad, and The Aeneid; Robert B. Strassler, editor of The Landmark Thucydides, now brings us The Landmark Herodotus. Translated by Andrea L. Purvis, with a introduction by Rosalind Thomas, The Landmark Herodotus is a hefty tome that will delight any historian or fan of Herodotus and the classical Greek period. Called “the father of history” by Cicero, Herodotus was an Ionian Greek historian who lived in the fifth century BCE. In his Histories, he recounts the rise of the Persian Empire and its tumultuous war with the Greek city-states. Filled with insights into the unique geography and anthropology of the time, Herodotus also delves into the human psyche, exploring the importance of religion, the costs of war, the sacrifice of life, and what it meant to be a free and independent state. 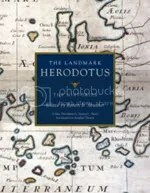 What makes The Landmark Herodotus unique over any other translation of The Histories, is its encyclopedia of knowledge. The book begins with a comprehensive introduction of Herodotus and the period, leading to the editor’s preface, and seven pages listing the dates outlined in the text, where they take place, and a brief sentence on what is happening. Then The Histories begins in an almost conversational meter, making it very inviting and compelling to any reader whose background may be well versed in the period, or not at all. Split into “books,” each page is filled with footnotes and constant side notes that serve as reference points, as well as numerous maps detailing the events taking place, and where possible, photos showing the modern day reality of these renowned historical locations. As one completes The Histories, the book is not finished, as the appendices begin, twenty-one of them written by renowned scholars, informing the reader on topics such as Egypt, Persian Arms and Tactics, Scythia, the Spartan State, and Trireme Warfare, to name a few. Then there is a comprehensive glossary to help the reader with any terminology. Finally there is a hundred-page index that will bring any specific term, person, place or event immediately to their fingertips. The Landmark Herodotus is not just a book; it’s a journey, a voyage into the history of ancient Greece and its war with the Persian Empire, as told by someone who, while not there at the time, lived in a period much closer to it than you or I. Questions will be answered, thoughts made, and wonders discovered. Upon completing the book, the reader will feel compelled to travel to Greece to see these ancient sites with their own eyes, and in their hands will be The Landmark Herodotus, as the invaluable reference that it is. Originally written on December 29th 2007 ©Alex C. Telander.